Soprano chair of the renowned PRISM Quartet and internationally-acclaimed soloist, TIMOTHY McALLISTER has been hailed as a “virtuoso…one of the foremost saxophonists of his generation” (The New York Times) known for “wondrous dexterity” (Gramophone Magazine) and a “beautifully rounded tone” (The Ann Arbor News). Since his solo debut at age sixteen with the Houston Civic Symphony, his career has taken him throughout the United States, Australia, Canada, Japan, China, Mexico, France, Slovenia, Switzerland, Great Britain, The Netherlands, Belgium, and Austria, garnering prizes at many prestigious national and international competitions, with solo performances in such venues as Prince Royal Albert Hall in London, the Sydney Opera House, Carnegie Hall’s Isaac Stern Auditorium, Zankel Hall and Weill Recital Hall, Merkin Concert Hall, Boston’s Jordan Hall, City Hall Concert Hall in Hong Kong, Los Angeles’ Walt Disney Concert Hall, Sumida Triphony Hall in Tokyo, Dallas’ Meyerson Center, and Rotterdam’s Zaal de Unie. 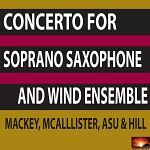 McAllister has premiered over 150 new works by today’s most eminent and emerging composers ranging from solo compositions by Gunther Schuller, Caleb Burhans, Jennifer Higdon, Benjamin Broening, Kati Agocs, Mischa Zupko, Gregory Wanamaker, Roshanne Etezady, Kristin Kuster to saxophone quartets and chamber works by William Bolcom, Martin Bresnick, Steven Mackey, Lee Hyla, Libby Larsen, Lei Liang, John Harbison, David Rakowski, Zhou Long, Chen Yi, Joel Puckett, Brian Fennelly, Evan Chambers, Ken Ueno, Donnacha Dennehy, David T. Little among many others. In October 2009, he appeared as saxophonist with the Los Angeles Philharmonic for Maestro Gustavo Dudamel’s Inaugural Gala concert performing the world premiere of Pulitzer Prize and multiple Grammy winning composer John Adams’ major new work, City Noir (released on DVD by Deutsche Grammophon), and performed the work with the orchestra throughout its May 2010 U.S. Tour, with appearances in San Francisco, Chicago, Phoenix, Philadelphia, and New York City’s Avery Fisher Hall at Lincoln Center. In March 2015, he reprised his City Noir role with the LAPhil and Dudamel with performances in Los Angeles and an Asian Tour, including concerts in Hong Kong, Beijing, Seoul and Tokyo. He reunites with Dudamel in June 2017 to perform the work with the famed Berlin Philharmonic. In August 2013, he gave the World Premiere of John Adams’ Saxophone Concerto - described by The Sydney Morning Herald as “an astonishing performance” - with the Sydney Symphony Orchestra under the baton of the composer in the Sydney Opera House. Subsequent United States premieres and international performances throughout 2013 and 2014 occurred with Marin Alsop and the Baltimore and Sao Paulo State (Brazil) symphonies, along with a recording of the Concerto and City Noir for Nonesuch Records with David Robertson and the St. Louis Symphony, which won the 2015 GRAMMY Award for Best Orchestral Performance. Other engagements with the Concerto have included the BBC Proms with the BBC Symphony Orchestra, Royal Liverpool Philharmonic, Milwaukee Symphony Orchestra, New World Symphony and the Cabrillo Festival Orchestra. As part of the 70th Birthday celebrations worldwide honoring Adams in 2017, he will perform the Concerto with the Houston Symphony Orchestra, Netherlands Radio Orchestra, Orchestre National de Lyon, Indianapolis Symphony, along with other performances of Adams’s music with the Los Angeles Philharmonic, San Diego Symphony, and the Berlin Philharmonic. He has performed in concert with celebrated pianists Christopher Taylor, Andrew Zolinsky, Andrew Campbell, Winston Choi, Tannis Gibson, Kevin Class, Gary Hammond, Midori Koga, Stephen Buck, Lucia Unrau and Kathryn Goodson, with whom he collaborates regularly. His has recently performed as soloist with the Strasbourg Philharmonic Orchestra, CityMusic Cleveland Chamber Orchestra, Fort Wayne Philharmonic, Elgin Symphony, Cabrillo Festival Orchestra, Reno Philharmonic, the Hot Springs Festival Orchestra, Texas Festival Orchestra at Round Top, Dallas Wind Symphony, United States Navy Band, Hong Kong Wind Philharmonia, Tokyo Wind Symphony, Detroit Chamber Winds and Strings, Albany Symphony Orchestra and the Oberlin Contemporary Music Ensemble. An in-demand orchestral musician, he has been invited to perform in the wind sections of the Chicago Symphony Orchestra, Detroit Symphony Orchestra, Chicago Philharmonic, National Symphony, Toronto Symphony, Oregon Symphony, Houston Symphony, Milwaukee Symphony, Phoenix Symphony, New World Symphony, Grand Rapids Symphony, and the Melbourne Symphony Orchestra. He was the featured soloist for the University of Michigan Symphony Band Centennial Anniversary Tour in 1997 and soprano chair of the Ninth Circle Saxophone Quartet, which was awarded the 2001 Grand Prize at the Fischoff International Chamber Music Competition. With the PRISM Quartet, he has appeared with The Crossing, Pacific Symphony, Boston Modern Orchestra Project, Opera Colorado/Colorado Symphony, Columbus Symphony, Jacksonville Symphony, Ocean City Pops (NJ), Augusta Symphony, Cantori New York, Talujon Percussion Quartet, SO Percussion, Partch Ensemble, and the Nashville Symphony, in addition to numerous chamber music engagements and festivals nationwide, including the SONIC Festival, Bang On A Can Marathon and the Big Ears Festival. He has been a featured soloist at the national/international conferences of SEAMUS, the North American Saxophone Alliance Biennial meetings, the New England Saxophone Symposium, and the U.S Navy Band International Saxophone Symposium. Additionally, he appeared as soloist with the Royal Belgian Air Force Band at the XIII World Saxophone Congress. McAllister has performed with notable big bands, and in many regional music theater and studio orchestra touring productions, having appeared with numerous entertainers including Broadway icon Patti LuPone. He has also performed behind such jazz greats as saxophonists Jimmy Heath, Rick Margitza, Dave Liebman and trumpeteer Ed Sarath. Since joining PRISM, he has premiered several jazz compositions by composer/performers Greg Osby, Tim Ries, Matt Levy, Tim Berne, and has collaborated with guitarist/composer Ben Monder and drummer Anthony Pinciotti. Upcoming activities in 2014 include crossover projects between PRISM and jazz saxophonists/composers Dave Liebman, Greg Osby, Steve Lehman, Rudresh Mahanthappa, Miguel Zenon and Tim Ries. A dedicated teacher, McAllister is the newly-appointed Associate Professor of Saxophone at The University of Michigan School of Music, Theatre and Dance, following the legacies of Larry Teal and Donald Sinta, and held the same post at Northwestern University, succeeding the legendary Frederick Hemke, while serving as Co-Director of the inaugural Institute for New Music from 2012-2015. Other faculty positions have included Arizona State University’s Herberger Institute School of Music, The University of Arizona School of Music, and SUNY Potsdam’s Crane School of Music. He spends his summers as a distinguished Valade Fellow/Instructor of Saxophone for the Interlochen Center for the Arts. He has given clinics and recitals at many of the nation’s elite universities and conservatories, and in 2003, he was invited by French virtuoso Claude Delangle to serve as a Guest Professor at the famed Conservatoire National Superieur de Musique in Paris. In 2013, he was a co-founding faculty member of the annual American Saxophone Academy first convened at the Eastman School of Music, and he is the first American saxophonist to serve as an instructor at the European University for Saxophone in Gap, France in 2015. He holds the Doctor of Musical Arts and other degrees in music education, conducting and performance from The University of Michigan where he studied saxophone with Donald Sinta and conducting with H. Robert Reynolds. He is the only saxophonist to ever receive the School of Music’s most distinguished performance award-the Albert A. Stanley Medal. Alongside composer Derek Bermel, acclaimed countertenor David Daniels, tenor Nicholas Phan and New York Metropolitan Opera coach Howard Watkins, McAllister has been honored with the Paul C. Boylan Award from the Michigan School of Music Alumni Society for his significant contributions to the field of music. Alongside his PRISM colleagues, he received the inaugural Christopher Kendall Alumni Award, bestowed upon chamber groups or individuals who have demonstrated great achievement in performance, outreach, innovation and entrepreneurship. 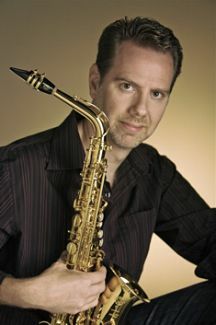 Timothy McAllister is a Conn-Selmer artist, and plays Selmer (Paris) saxophones exclusively. He is also a DANSR/Vandoren Woodwind Artist, assisting with research and design, and endorses the Vandoren saxophone reeds, mouthpieces and ligatures.